It’s pretty obvious that here at Christmas Lights Etc. we love Christmas decorations. Whether it’s the star on top of the tree, or the fake snow on a window pane, to us, there’s nothing better than making your home feel like a mini Santa’s grotto. But what do you think? We’ve created a fun quiz to help you decide whether you’re a lover of all things Christmas, or if you’d prefer to just shut the windows and wait for January. Infographic provided by Christmas Lights Etc. 1 out of 5 homes will encounter a violent home intrusion. 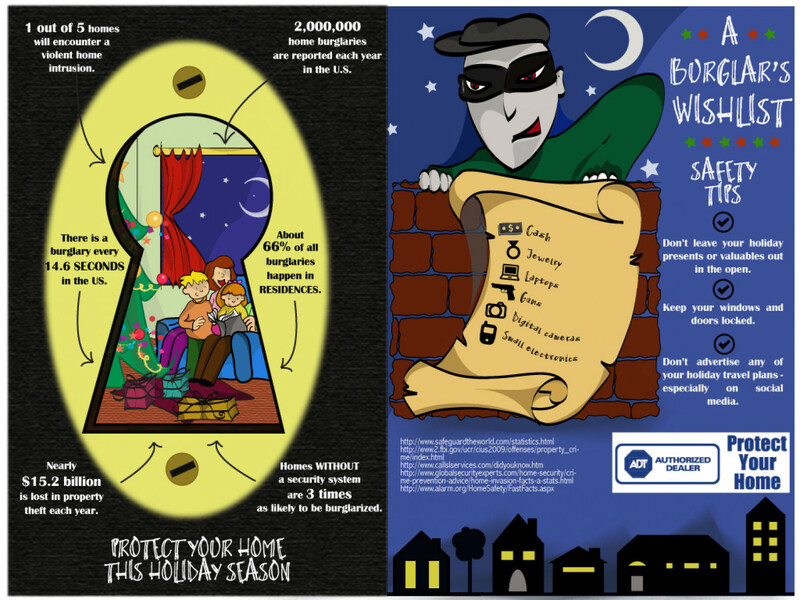 2,000,000 home burglaries are reported each year in the U.S. Nearly $15.2 billion is lost in property theft each year. Homes WITHOUT a security system are 3 TIMES as likely to be burglarized. Is our world famous, quintessentially British “Stiff Upper Lip” in grave peril? Once a great sense of pride, the “Stiff Upper Lip” that pulled our Nation out of its darkest hours again and again, may now be slipping. Sorry Winston Churchill, I’m afraid it’s true! The infographic below reflects this sentiment, depicting our changing social morays, as documented by a recent Best Western survey. Once you’ve given it a look, be sure to check out the original posting of the infographic here.